The Agriline indoor fly trap range is especially developed to trap flies in animal housing. 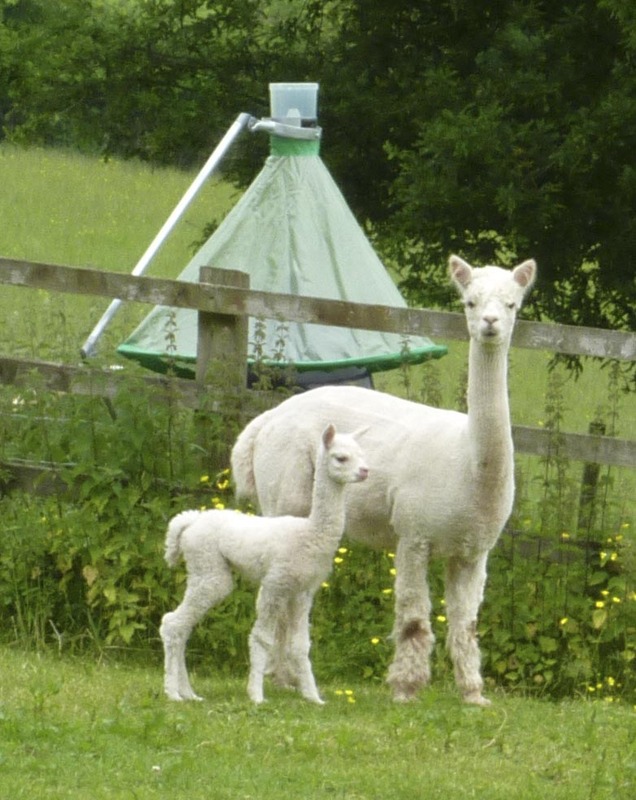 Equally suited to stables and cattle sheds, chicken houses or pig sheds, the robust card and special insect glue are enhanced with the unique 3D design to entice flies to land on the sticky surface. No wonder he has a smile on his face. A catchment wide partnership project 'Going Native' is designed to rid our rivers of invasive non-native species. Aimed at specifically establishing effective catchment wide control of American mink and the weeds Himalayan Balsam, Japanese Knotweed and Giant Hogweed. These weeds, through their vigorous growth out compete native plants and so limit the biodiversity of the river banks and, as they die back in winter, expose the bare banks to increased erosion. 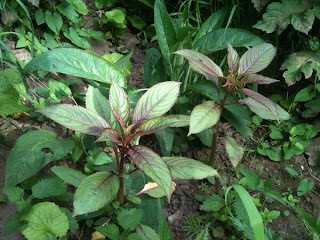 Over the next 4 years the volunteer group aims to expand the control of Himalayan Balsam from the current core work on the River Honddu and achieve effective control along the River Monnow and her tributaries by 2013, using contractors and then by coordinating the follow up voluntary effort to hand pull it. More information is available at Monnow Rivers Project. In the UK and elsewhere in Europe, Spring has developed much slower than normal and as June arrived, we seem to be at last experiencing warmer and sunnier conditions. With the warmth comes also the threat of insects pests and so we wish to highlight the need to be well prepared in advance to ensure good pest control.. 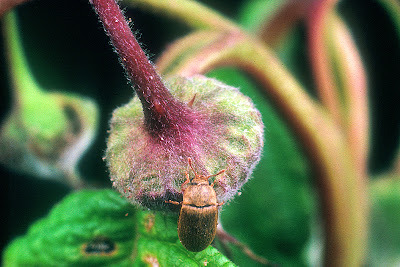 The Raspberry Beetle, Byturus tomentosus is a serious pest of Raspberries and other similar fruits such as Loganberry and Blackberry. The adult females are attracted by the colour and smell of the host plant’s flowers. The larvae feed on ripening fruits but can also damage buds and shoot tips. They burrow into the fruit berries to feed on the plug and often go undetected until the fruit is harvested. 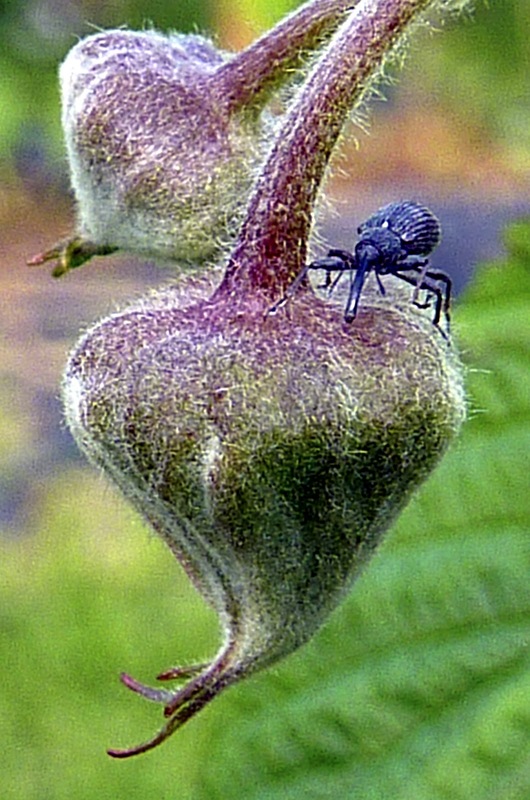 Sometimes localised areas of attacked berries become shrivelled, hard or distorted as a result of the larval feeding and pathogens can enter the developing fruit at beetle feeding sites. Adult beetles can cause damage early in the season by feeding on blossoms, buds or new leaves of host plants. This rarely causes serious problems unless beetles occur in large numbers, when significant crop losses and poorly developed, malformed fruits may result. There is usually one generation each year in field grown crops. Adults emerge in April to early June but can be earlier in tunnel covered crops. 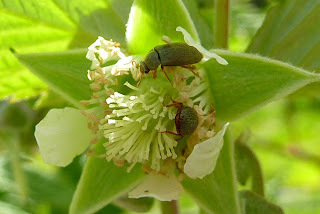 With warm weather (above 13°C) the beetles mate from early June and in June/July the eggs are laid in flowers. The local climate and cultivation method can affect emergence times and duration of attack. Work by The James Hutton Institute on commercial farms, together with collaborative on-farm trials in Norway, Switzerland and France, indicates that traps using key visual and olfactory characteristics of the raspberry flower are effective in trapping and controlling damage caused by raspberry beetle, particularly with low to moderate populations of raspberry beetles. The traps mimic the white colour of raspberry flowers, while the chemical attractant is based on floral extracts. 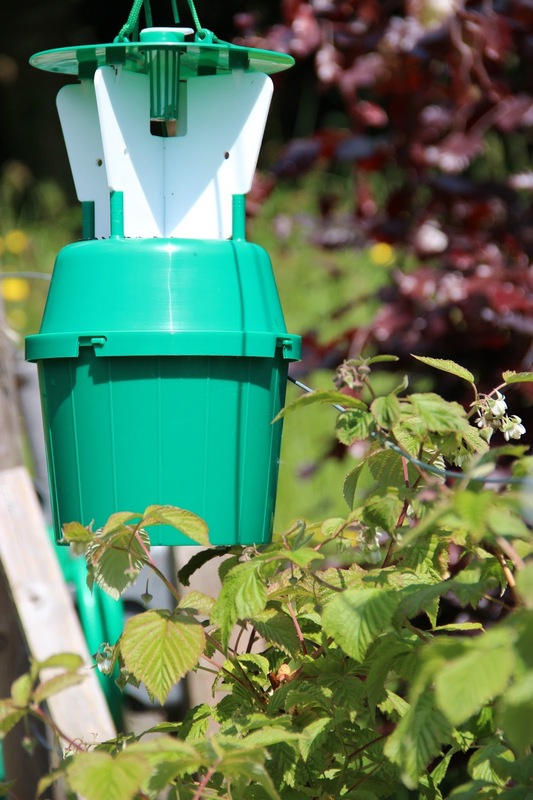 Sentomol has developed an easy to use trap based on the years of field research and is making this available to UK gardeners. See our product page for more details. 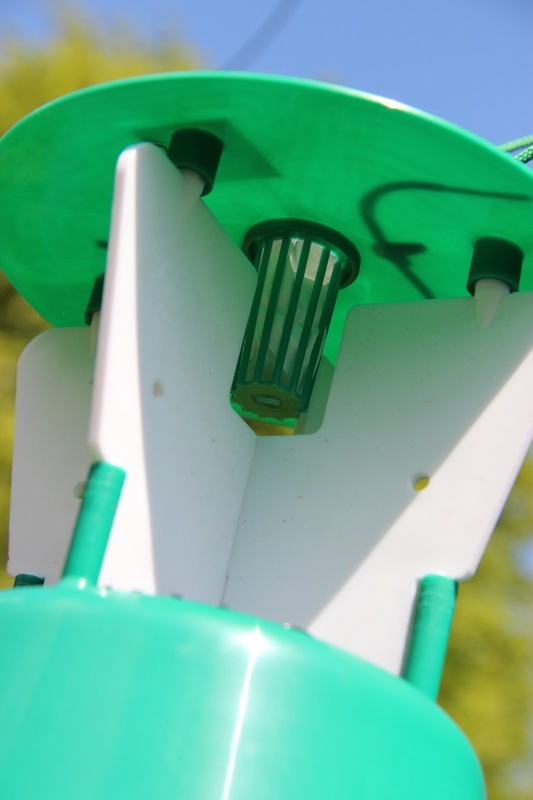 The trap consists of a green funnel trap with white cross vane attachments into which an attractant is inserted. The trap is designed so that insects are attracted by both the white colour of the cross vanes (simulating a giant raspberry flower), and the chemical parapheromone dispenser. Beetles fly into the cross vanes and fall into the funnel shaped catchment area down into the bucket below, from where they can be regularly collected, counted and disposed.